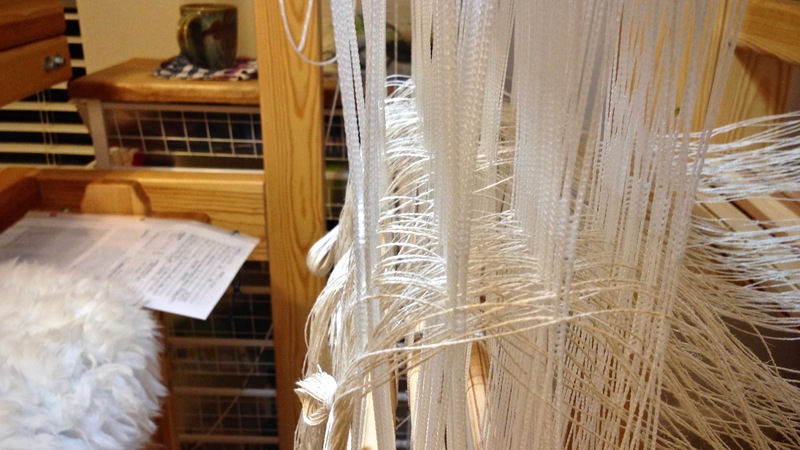 Warp chain of 16/2 golden bleached linen, before beaming the warp. 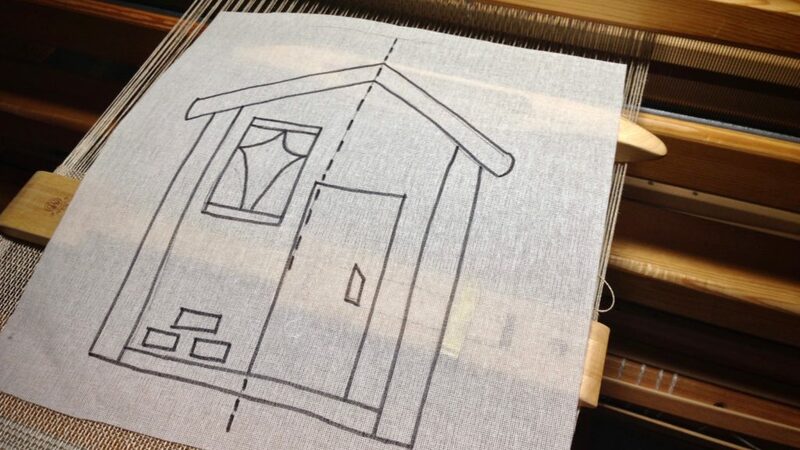 Threading heddles in my little playhouse, with project notes by my side, and a cup of coffee on the side cart. 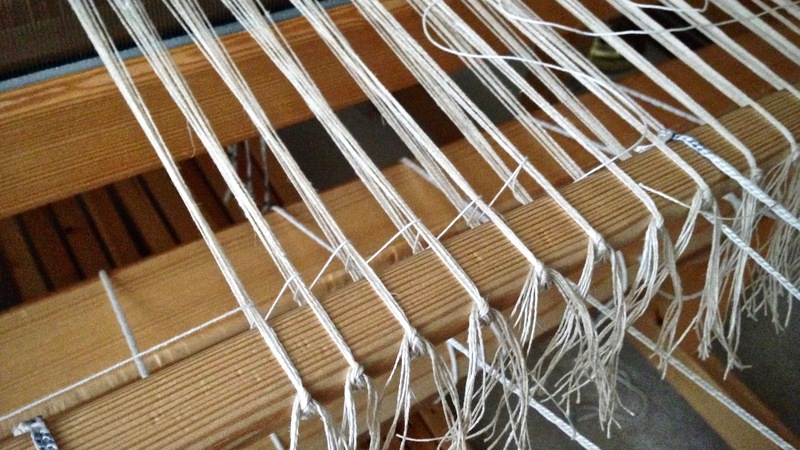 Leveling string is added with extra care so that abrasion of the linen warp is kept to a minimum. 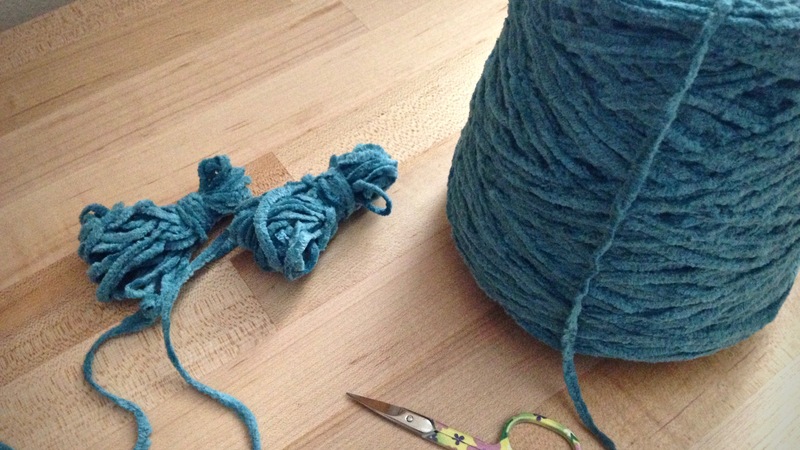 Butterflies are made from the hefty cotton chenille yarn. 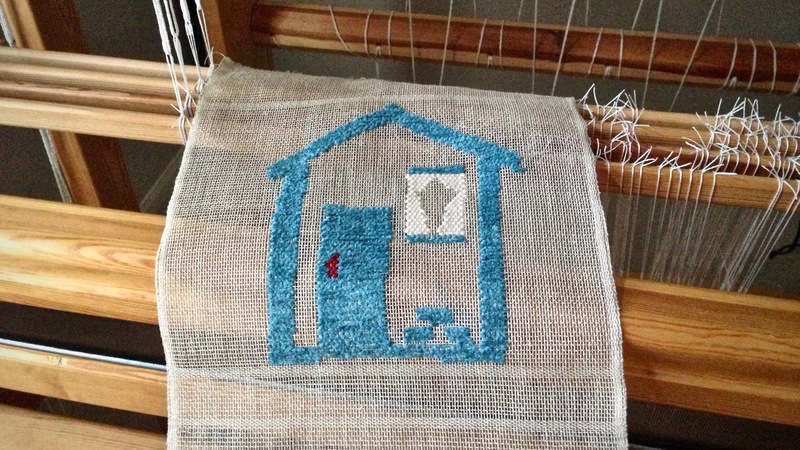 Weaving without a cartoon. I am counting warp ends to keep the pattern angle consistent. Cartoon has been added. 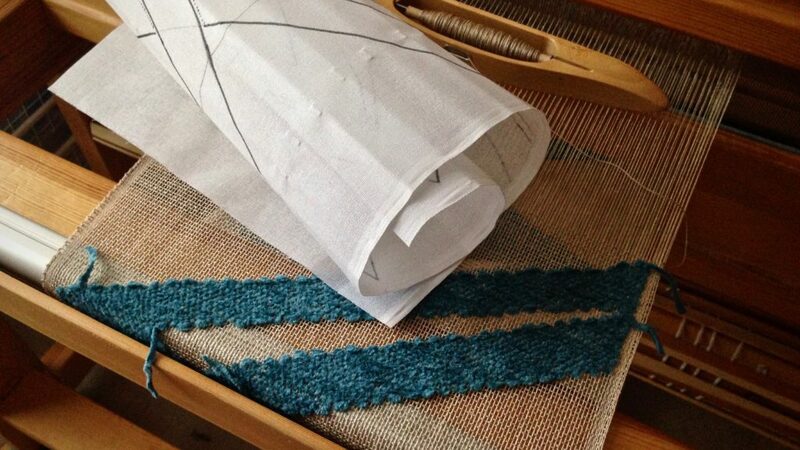 The pattern weft follows the lines drawn on the buckram cartoon, which is pinned in place. 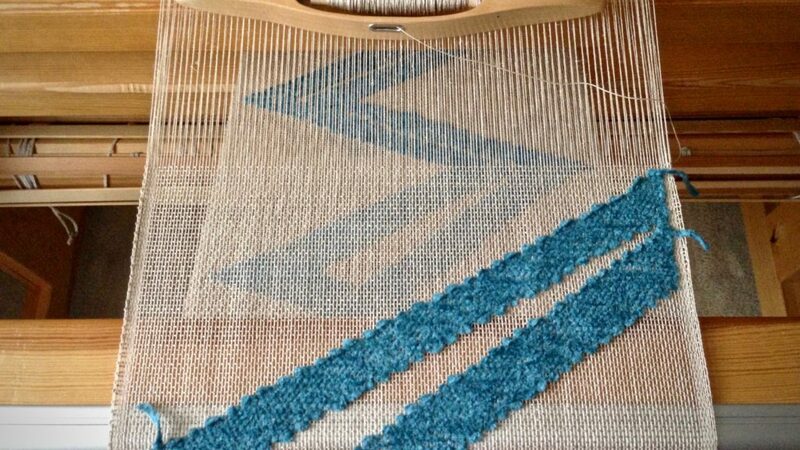 After the main transparency with the zigzags, I had room to play on the remaining warp. I made another cartoon–a “cartoon” house. This gave me a chance to use a few more yarn butterflies, without it being overwhelming. Home. Sweet. Home. “Cartoon” house cartoon. 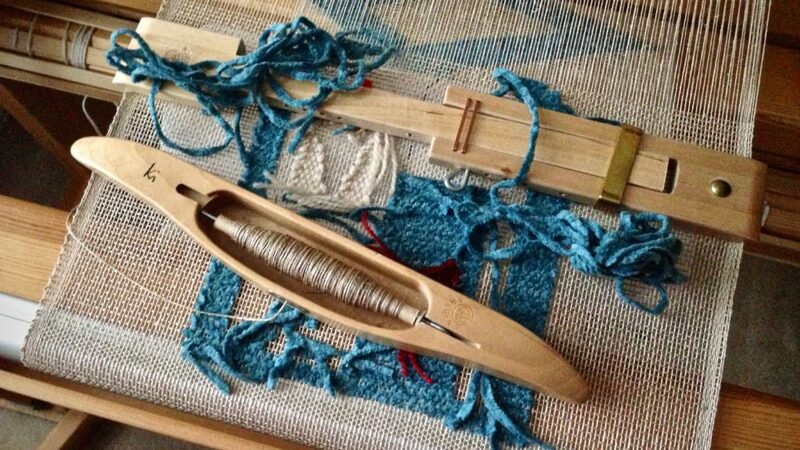 Ready for playtime at the end of the warp. 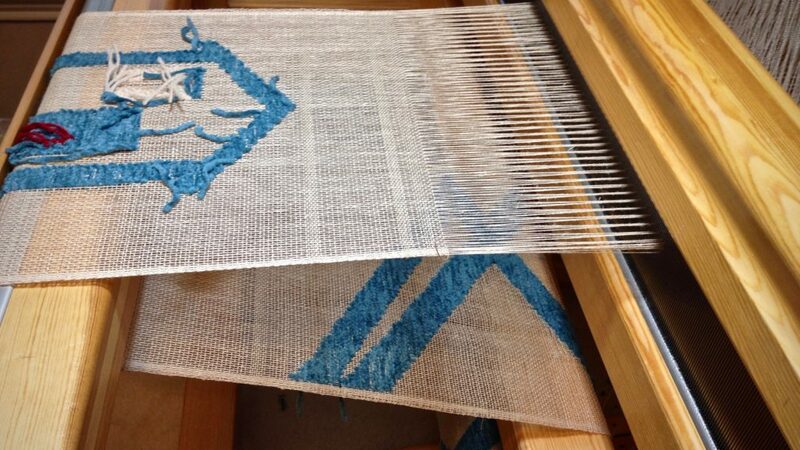 With several butterflies going at once, the transparency weaving gets even more interesting! Now, the actual end of the warp is here. 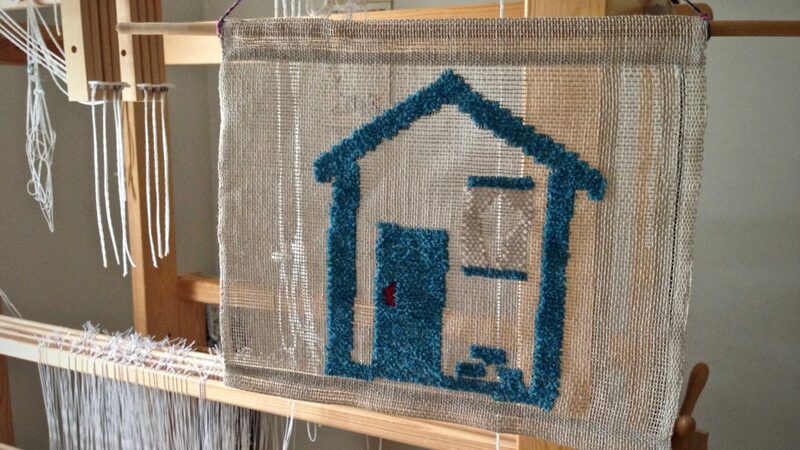 Cartoon house just off the loom. Welcome home! Home. Sweet. Home. May you enjoy the fascination of learning something new. I love these, Karen! 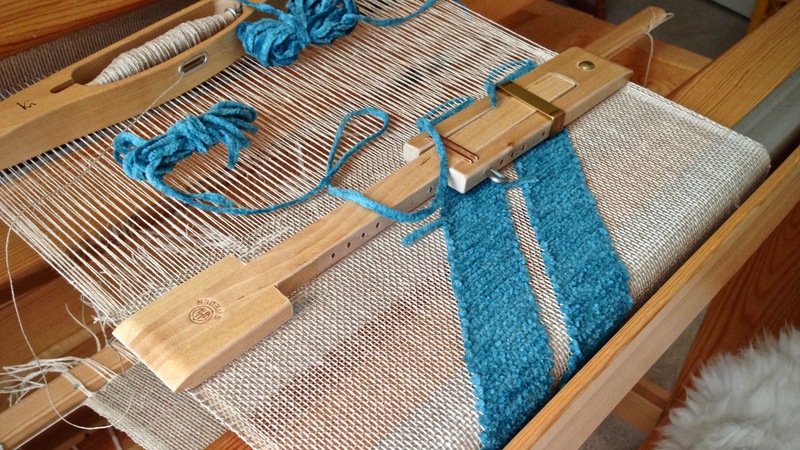 You are truly one of the most inspiring weavers out there! Dear Beth, It fills me with joy to be able to share what I love to do with friends like you. I’m grateful that something I do can inspire others. Your work has certainly inspired me, as well! Thank you for sharing your new thing. 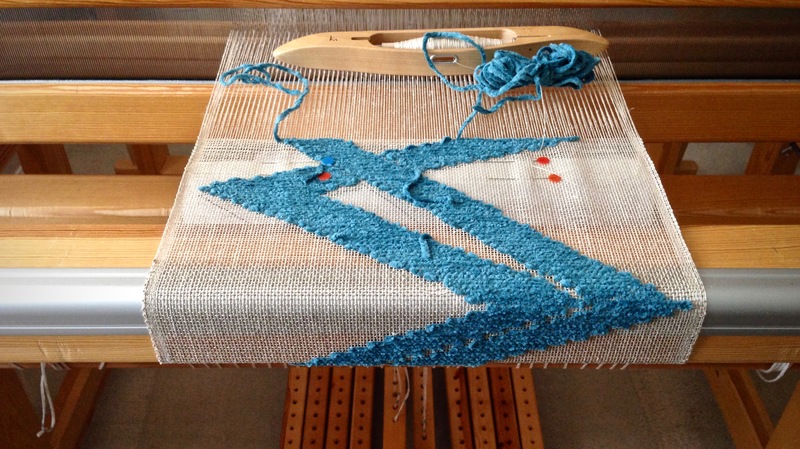 My guild friends & I will be attending the Mid Atlantic Fiber Arts (MAFA) conference this summer, my friends are taking the workshop “Weaving aTransparency” with Bobbie Irwin. I’m so excited for them! 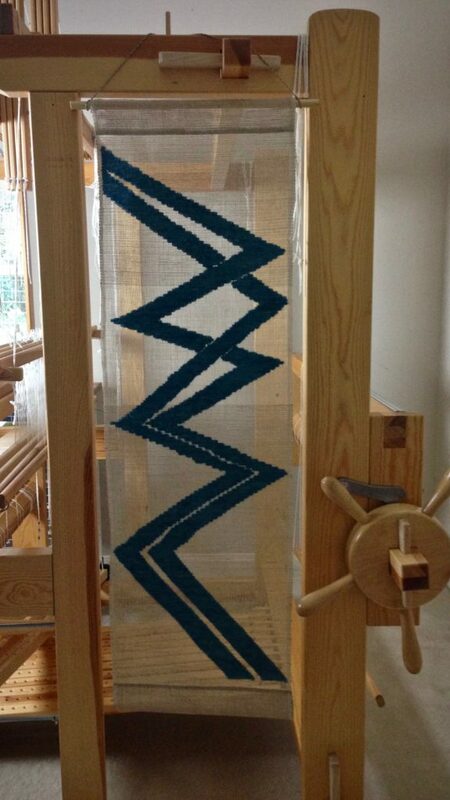 I never heard of weaving transparencies before, you’ve given us a cool demonstration to build our anticipation of the MAFA workshops. Hi Sandy, How exciting! I just looked at the MAFA workshop choices. Wow, you have some terrific options! It would be hard to choose. Bobbie Irwin’s class looks great. I think you and your friends are going to have a fabulous time! I haven’t done a transparency in years – these are wonderful. I’ve so enjoyed seeing your work in progress. You’re making me want to think about a transparency in the not too distant future. And for Sandy who commented above, many years ago my guild brought Bobbie Irwin to teach the transparency workshop – it was the most fun. 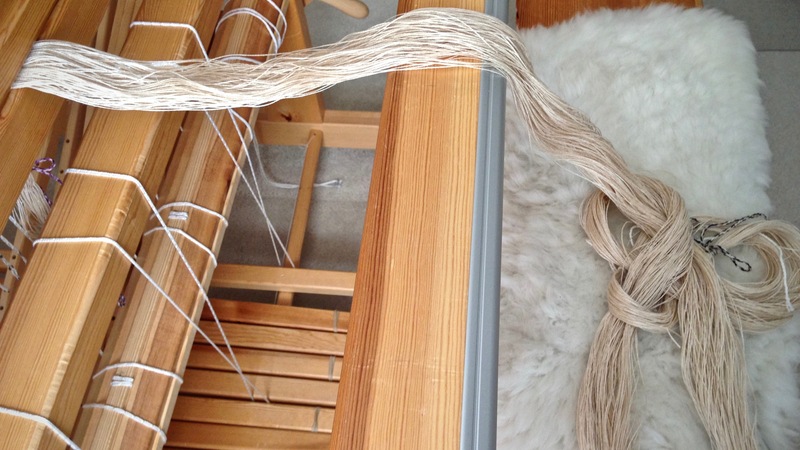 I went home and tried it using fishing line – a challenge but neat end result. Hi, Cindie, I know I’ll be doing this again in the near future. I hope you do, too. We can compare notes! Fishing line!? Now, that’s very interesting! I’d like to see that.